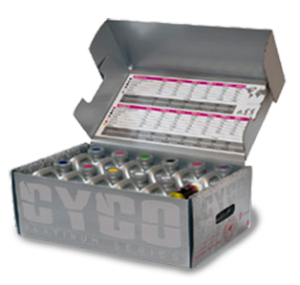 The Cyco Platinum ProKit is the perfect choice for all serious gardeners. This complete package of superior formulated products, includes everything required from start to harvest. The ProKit contains an easy to read growth and bloom chart for all mediums. Both Charts are based on a week to week color coded system, making the ProKit one of the most user-friendly Kits available. S.J Enterprises and CYCO Platinum Series will proudly donate proceeds from every ProKit Sold in the USA to the Hydro for Hunger program, which is dedicated to bringing low-cost hydroponic techniques to developing county’s. Description: The Cyco Platinum ProKit is the perfect choice for all serious gardeners. This complete package of superior formulated products, includes everything required from start to harvest.